Shroud Magazine Book Reviews: Maurice Broaddus guest on the Werepig, plus free books! Maurice Broaddus guest on the Werepig, plus free books! Is there a better way to spend your Sunday than with the Sinister Minister, MAURICE BROADDUS? A favorite of the critics, he mixes his strong beliefs with a love of horror! From his numerous publication and books to creating his own festival Mo-Con, the Werepig will do his best to fit it all into just 90 minutes! 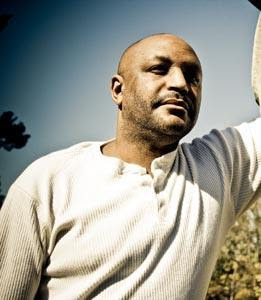 "There are fewer greater pleasures in a reader's life than witnessing a writer whose work they have enjoyed reached a new plateau in their storytelling skills, and such is the case here; with the Devil's Marionette, Maurice Broaddus comes into his own as a writer of dark fiction. It is the brilliance we've all been waiting for, and Broaddus delivers in a voice that both whispers and roars and cannot be ignored." 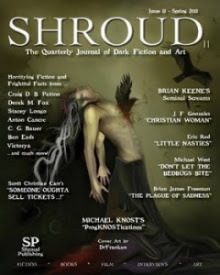 And, as bonus, TFW and Shroud Book Reviews will throw in a copy of Nate Southard's sold-out novella, "Just Like Hell". Want free books? 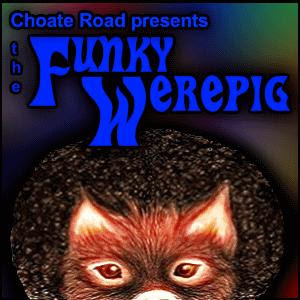 Start listening to The Funky Werepig! I know what you put in your waders, Tim! Sour cream! It was sour cream! Ah, yes. And you win! Will get those books to you, post-haste!